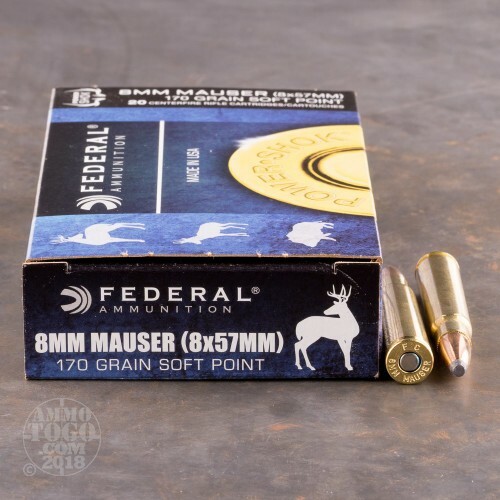 This is 8mm Mauser Federal Power-Shok 170gr. Soft Point Ammo. Power-Shok ammo is just what you need to take your trophy and have a few bucks left to haul it to the taxidermist. 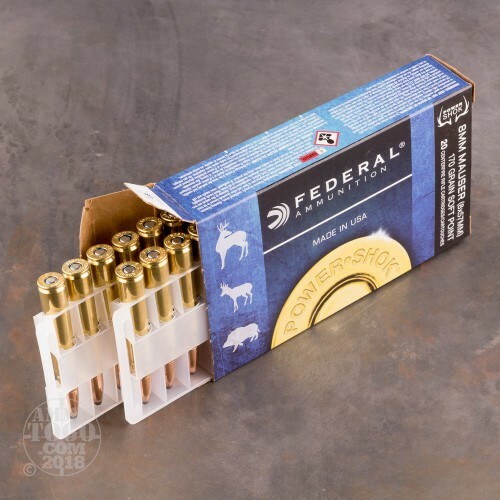 All of Federal's "Classic" rifle options are now exclusively available under the Power-Shok name with the most popular big game cartridges featuring the Grand Slam soft point bullet from Speer. The unique jacket profile and fluted tip of the Grand Slam bullet ensures reliable expansion over a wide velocity range. 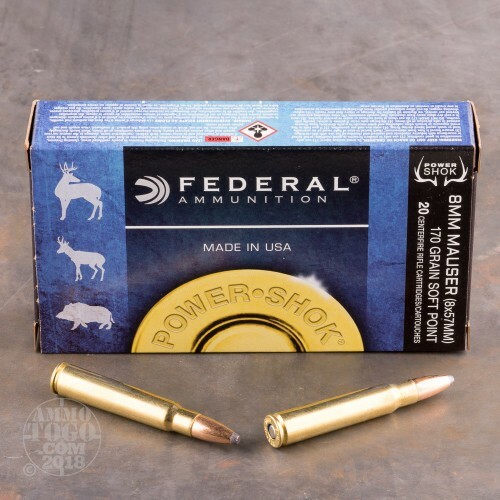 Whatever your pursuit, Federal has you covered with Power-Shok Ammo. This ammo is packed in 20rd. boxes. 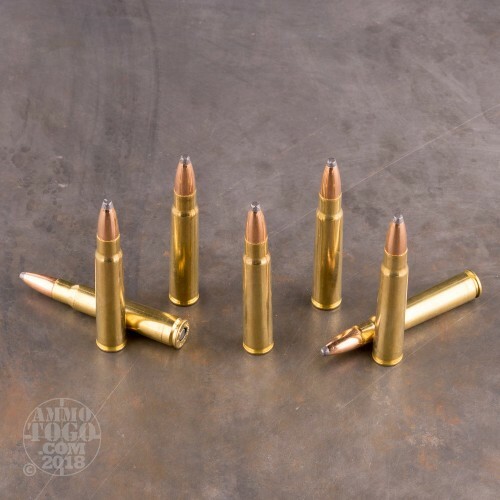 My 30-30 ammo is better than this! A 170 grain bullet should be at a minimum 2800 fps in a 8mm Mauser. This ammo is far too slow. The Mauser action is made for +P ammo... yes, the Germans knew how to make great rifles.